Now, here’s one for the culinary slots fan: a 3D animated beauty of a game all based around the ancient Japanese art of making sushi. But does it turn out to be a slot fit for an Emperor or more like a post-pub delve into Yo Sushi? A 5-reel, 25-payline game, Betsoft Gaming’s slot has the requisite big prizes – the max. jackpot is $5,000 – and betting starting at just $0.02. For the big gamblers, betting over the $60 mark is available. And that kind of money is up there on-screen for all to see. A beautiful array of symbols makes up the reels. Most interestingly the 10-through-Ace symbols are present, but here they are in the shape of plates adorned with all manner of sushi delights. Elsewhere we have other staples of a good sushi bar: knives, chopsticks, teapots, fans and soy sauce bottles. To the right of the reels, an animated sushi waiter dishes out applause whenever you win. The last two symbols on that list are of most importance. The soy sauce acts as the Wild, substituting for all other symbols except the Scatter. It doubles all your wins. The fan symbol Scatter pays out bonus cash and free spins as long as you hit at least three of them anywhere, with 20 free spins up for grabs if you get five fans. 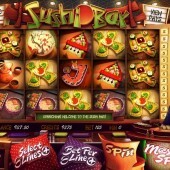 During the Free Spins Bonus, however, all wins are doubled. Unfortunately, that’s your lot for bonuses, and bonus hunters may want to look elsewhere for bigger prizes. 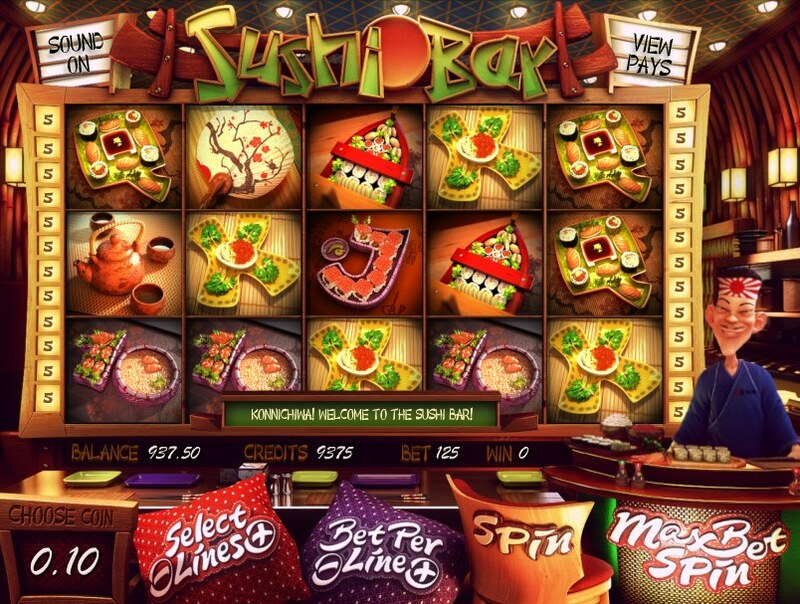 You could do far worse than head for this innovative developer’s bonus-laden samba-themed slot, At the Copa, as the bonuses are plenty, but fans of the culinary arts could do with looking at RTG’s Chinese-restaurant themed Wok ‘n’ Roll.